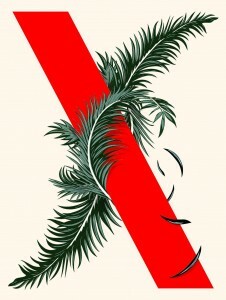 As in previous years, I’m doing a run-down of the best books I’ve read this year. This year it’s split into two parts: adult books and children’s books. I haven’t read enough comics this year to come up with a top five – although if I did, it would certainly include John Allison’s Giant Days ongoing series and Rachael Smith’s The Rabbit. Same rules as before. The publication date has absolutely no bearing. This is purely a list of the best books I read in 2015. Slight difference in the format this year – no more Amazon links. Hardly anyone reads this blog anyway, and the WordPress stats show that the few people who do find their way here don’t click on the links, so it’s a wasted effort. 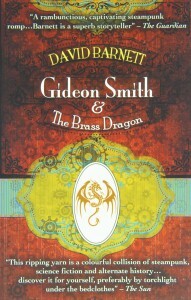 A worthy follow-up to Gideon Smith and the Mechanical Girl (which made the top 5 last year, too), this time set mostly in what should be America, but instead is a mish-mash of British New York, Japanese California, and independent hell-hole Steamtown (think a more lawless Deadwood with a steam-powered cyborg Al Swearengen in charge). Gideon Smith is growing into his role as the Hero of the Empire nicely. Also contains dinosaurs. Recommended for anyone who likes steampunk, the Wild West, ancient Egyptian magic, giant steam-powered weapons, airships, or monsters from a lost world. City of Saints and Madmen was my favourite adult book of last year, so it’s no surprise that this new series – made up of Annihilation, Authority, and Acceptance – finds its way onto this year’s list. A tremendous achievement, weird and wonderful in equal measure, let down ever-so-slightly by the third volume which couldn’t quite live up to the expectations set by the first two. The first volume in a fictionalised life of the woman who would go on to become St Hilda of Whitby. Sounds pretty dry, doesn’t it? Haha! No! It’s utterly brilliant. It’s a huge sweeping fantasy novel without the fantasy. 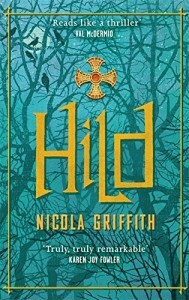 Nicola Griffith has carried out such extensive research that the world of 7th Century Anglo-Saxon England comes vividly to life, and Hild herself is a great character. Looking forward to future volumes (although I understand the next volume will have to include a lot more interpolation due to gaps in the historical record). Reviewed on this blog back in June. 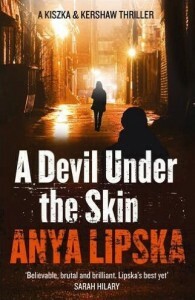 This is the third thriller from Anya Lipska starring police officer Natalie Kershaw and Polish private eye Janusz Kiszka, and the series is going from strength to strength. They say you shouldn’t judge a book by its cover, but, really, what choice do you have when confronted with Felicita Sala’s striking art? I might never have considered this book if I hadn’t been struck by the cover. 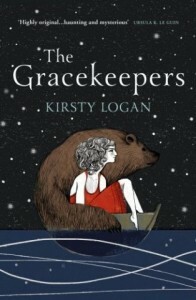 This, Kirsty Logan’s first novel, is a far-future tale of two women. North, part of the crew of a travelling circus, travels the whole post-apocalyptic flooded world but is trapped by her future. Callanish, a gracekeeper, which is like a cross between a lightkeeper and a funeral director, is constrained to stay in one place, and by contrast with North is trapped by her past. The stories of these two women are interwoven with the different viewpoints of the rest of the circus artistes to create a rich and melancholy story. This year I also read Kirsty Logan’s book of short stories, A Portable Shelter, and it shows the same fantastical themes with literary sensibilities of the novel. I’ve also got The Rental Heart, her other short story collection, sitting on the to-read pile. Ms Logan is firmly in the “buy everything she writes” category.